TORONTO (Oct. 2) — Circumstance, over the past half–decade, has severely hampered objective coverage of the Toronto Maple Leafs by local and national media. That the Leafs are 75% owned by Bell Canada Enterprises and Rogers Communications presents the most–blatant conflict of interest in the history of Canadian sport. Not only do the two media–communications behemoths despise each other — as you’d expect from rival conglomerates — but they’ve hijacked virtually all pretense of detachment and impartiality. How is it possible for a reporter or pundit whose paycheck is signed by the same company as that of Auston Matthews and Mike Babcock to provide neutral commentary on the Leafs? Short answer: It is im–possible. Now, don’t get me wrong. This isn’t to imply that those assigned the task are fraudulent in any way, or under explicit command to withhold reasonable analysis. Bob McKenzie of TSN (Bell) and Elliotte Friedman of Sportsnet (Rogers) are the two most–trusted hockey voices in the land. And, not by accident. But, there is no escaping that the Maple Leafs are the “home team” of all–sports television from coast–to–coast in Canada. How could it be otherwise with the parent company of each network owning three–quarters of the hockey club? The Ottawa Senators, Montreal Canadiens, Winnipeg Jets, Edmonton Oilers, Calgary Flames and Vancouver Canucks are unavoidably the “visitors”. And, though difficult to define, there is a demarcation point between analysis and criticism that virtually all employees of TSN and Sportsnet best not breach. Otherwise, consequence emerges — as Damien Cox and Glenn Healy, in particular, have discovered. 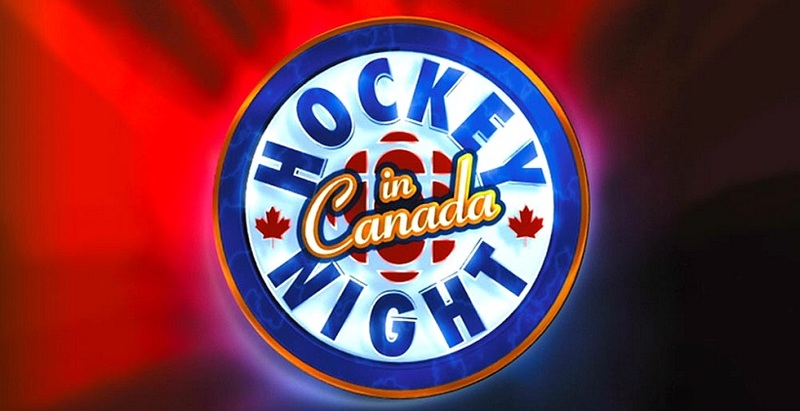 Of all the intermission features concocted by Sportsnet since Rogers assumed editorial control of Hockey Night In Canada in 2013, nothing, in my view, compared to the rapid–fire NHL “notes” segment co–hosted by Cox and Friedman. Two of the most credible and insightful hockey personalities — each with impeccable TV presence — discussed the top stories of the day. What more could Rogers offer second–intermission viewers? Yet, the Cox–Friedman tandem disappeared after two seasons with nary an explanation from the ubmrella company. Something clearly happened behind the scenes, though I suspect Cox was silenced largely because of his propensity to opine without a filter. Remember, the Leafs were at or near the bottom of the league in the early years of the Rogers/NHL partnership; it was implausible to speak of the hockey club without some form of censure. Not long afterward, Cox similarly vanished as Bob McCown’s radio/TV co–host of Prime Time Sports — also presented by Rogers to, largely, a Toronto–centric audience. During his time as an analyst/color commentator — either between the benches at ice–level or in the broadcast booth — Healy had no peer. He was glib, opinionated and vastly entertaining, which served to counteract an otherwise–monotonous presentation. Under what circumstance should he have been terminated by Rogers and Hockey Night In Canada two seasons ago? The answer is simple — he antagonized fans of the “home team” by regularly pointing out the obvious deficiency of the Maple Leafs. And, if fans were infuriated, you can be sure those in the ivory towers at Bell and Rogers were doubly–so. Healy paid for his heinous comportment and we have since been left with Jim Hughson and Craig Simpson — competent, well–spoken, knowledgeable, yet profoundly bland — sitting side–by–side in the booth. Has the exclusion of Healy improved the in–game presentation on Hockey Night? Absolutely not… as anyone could have anticipated. But, the poobahs at Bell and Rogers aren’t feeling nearly the bite. Even before Rogers procured 12 seasons of national NHL rights did the anti–Leafs narrative prove costly. Just ask Al Strachan, once a staple on the popular Satellite Hot Stove. For all his agenda nonsense, Strachan knew hockey inside–out and spoke with undeniable authority during the “opinion” segment. That his opinion often identified long–standing issues with the Maple Leafs earned Al a one–way ticket off the set at Hockey Night. Which brings me to the crux of this blog: Now that the Leafs are considered a Stanley Cup contender, will this season be an unmitigated love–fest on Hockey Night, from St. John’s to Victoria? Or, might those on the weekend telecasts soften their endearment in deference to fans of the other six Canadian teams? Time, of course, will tell. Given what we’ve observed since 2013, impartiality to any degree will be absent during the hour–long SportsCentre (TSN) or Sportsnet Central (Rogers) telecasts at supper and 11 p.m. The young people, in particular, hired in the past five years have no inhibition when it comes to cheering for the Leafs. A much–more interesting study will, of course, abound if (heaven forbid) the Maple Leafs do not match or exceed their lofty expectations. Can you envision, for example, the national outcry were lowly Montreal to pummel the Blue and White, say, 5–2, in Wednesday’s season opener at Scotiabank Arena? Or, when the Leafs unavoidably lapse into a four or five–game skid, as will every team in the NHL? This is clearly the prime obstacle with respect to cross–pollination of media and club ownership. What to say — and how best to say it — becomes paramount; speaking the truth a risky alternative. The final bastion of impartiality falls upon the newspaper industry, and there is disturbing evidence that print reporters and columnists are also waving the flag. Earlier this week, Toronto Star beat–writer Kevin McGran penned a story under the headline PRE–SEASON WAS JUST THE START OF FUN AND GAMES FOR THE LEAFS. Said Kevin: Training camp and the subsequent exhibition games gave fans the opportunity to see John Tavares in a Maple Leafs jersey, and Leafs Nation must still be pinching itself that the star signed in Toronto. It has folks around here dreaming of something much bigger. Tavares has fit in so well, scoring five goals, adding an assist and helping make an already potent power play even more dangerous, that few can wait for the puck to drop for real on Wednesday. Not to be outdone was Mitch Marner, who led the team with eight pre–season points, including a short–handed goal. And, oh, that first power play: Tavares, Matthews, Marner, Nazem Kadri and Morgan Rielly… Nothing McGran wrote may turn out even slightly inaccurate or inflated. Yet, it still read as more of a press release from Maple Leaf Sports and Entertainment. 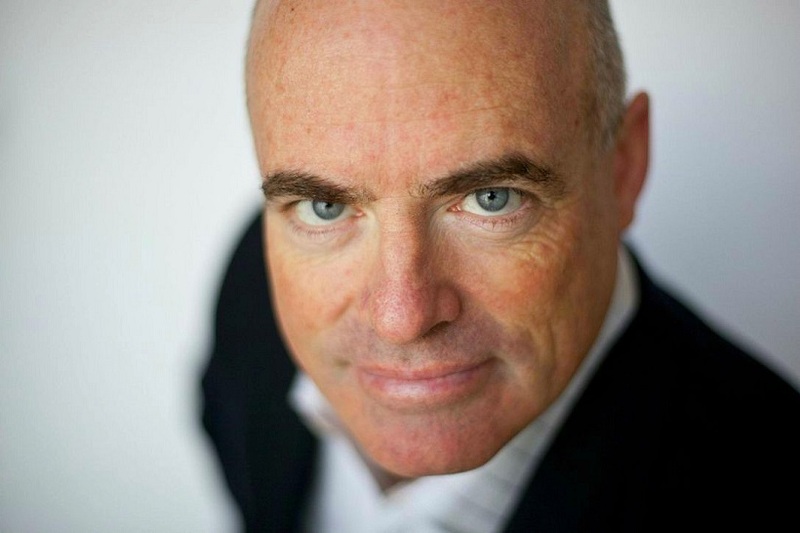 DAMIEN COX OF SPORTSNET AND THE TORONTO STAR. What is there to be negative or critical about already? This is a very young and exciting team that has finally turned around for the better. We should have 5-7 years of good hockey to watch after so many years of wasted Saturday nights. I haven’t seen any of the “homers” declaring an automatic cup but at least the Leafs are now getting close to being in the conversation. On the flip side to your argument is that prior to the Bell / Rogers ownership when the team was a disaster they still received a ton of coverage. Obliviously the coverage at that time focused on all of the negatives because it was the truth. This club is good (not great) now and should be covered in a positive light until they give reason to think otherwise. The defense has been rightly called out as lacking, but the team has the depth and finances to address that when a willing partner /fit comes around. One foot in front of the other. As I’ve said repeatedly, Jonathan, I don’t deal in positives or negatives. Neither should the mainstream media. It’s for fans, like you. I am a little confused by your article. You are talking about the major media loving the Leafs and picking them as a contender this year. This is in stark contrast to what I am reading about the Leafs. You are bringing up Sportsnet in particular, on their website 2 days ago they spoke with all their “Insiders” (16 in total) for predictions about the 2018-19 season. NOT A SINGLE person picked the Leafs to win the cup. NOT A SINGLE person picked any Leaf to win any major awards. Damien Cox, who you mentioned is a Dubas believer has picked the Winnipeg Jets to win the cup. He has picked the Leafs to win nothing. In fact, a team that did not even make the playoffs last season (The Blues) got a vote to win the cup(Kypreos). On TSN, they did more of a % of the votes of analysts and the majority thought the Leafs would win 1 round and not go any further. On a Leafs Lunch segment yesterday, Craig Button basically said how screwed the Leafs are in getting Tavares in terms of the cap. Gord Miller agreed. Where are you getting this idea the media is so pro-Leafs and picking the Leafs to win the cup? The Winnipeg Jets are easily considered the best team in Canada and it’s not even close (9 out of 16 analysts on SN picked the Jets to win the cup). I actually find the U.S media being bigger believer in the Leafs. The only people picking the Leafs are a Leafs employee (Bowen) and a video game simulation (EA Sports had the Leafs win the cup when they did an official season simulation). George: Picking the Leafs as a “contender” doesn’t imply a guaranteed Cup victory. You are referring to separate issues. Difficult to find any hockey observer NOT choosing Leafs in the “contending” category.